Hallelujah, Hatchling #1 has deemed kindergarten “really super-duper fun.” Whew. I wasn’t really worried about it — I knew she would once she got into the groove, I just wasn’t sure whether the getting to that groove would be painful or not. (For her and for me, admittedly.) With the exception of a few sad faces and words about how long the day is, she’s been jamming that groove, thankfully. 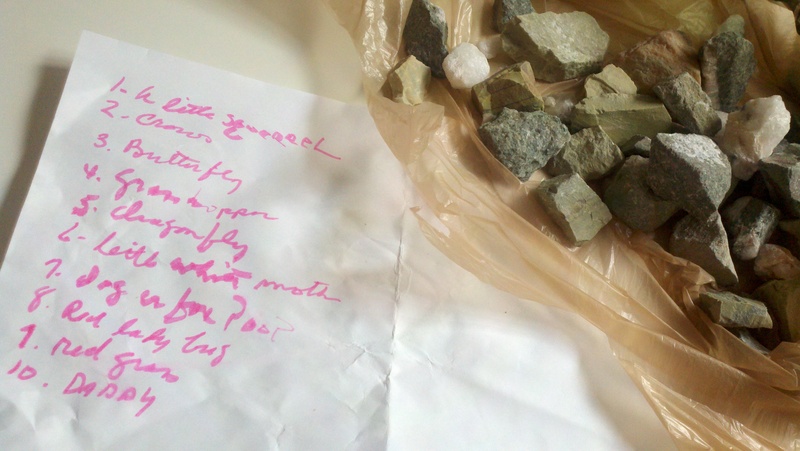 Oh, and how could I forget about the bulging, about-to-break plastic bag full of rocks? Happy back-to school!